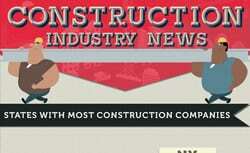 The construction industry appears to be rebounding, especially in key states. The construction law experts at TheLienZone.com have illustrated where the jobs are, what sort of jobs are in high demand and how much they’re paying in an easy to understand infographic. Take a look.